Colinz Laboratories Ltd., was incorporated under the Companies Act,1956, in the year 1986, as a private limited company and obtained certificate of registration No. 41128 of 1986 on 16th October 1986. The Company was later converted into a public limited company and obtained Certificate of Change of name under the Companies Act, 1956 on 5th January 1995, from the Registrar of Companies, Maharashtra. Though the company was incorporated in the year 1986, the activities of production and marketing was started only in the year 1990. The company is listed in Bombay Stock Exchange. The Company is coming under S.M.E. category. The company is manufacturing and marketing various allopathic and Ayurvedic pharmaceutical formulations in the dosage forms of tablets, capsules, liquid orals, ointments etc. The company promotes its products in the states of Maharashtra, Karnataka, Andhra Pradesh, Gujarat, Rajasthan, MP, CG and also in West Bengal through its own marketing staff. LBS Marg, Bhandup (W), Mumbai-400078. Code of the company:- 531210. NSDL: INE 923 CO 1011. CDSL: INE 923 CO 1011. 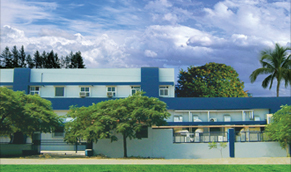 Modern manufacturing facility at Sinnar, Nashik. Full fledged In house testing / quality control laboratory. Well experienced pharmacists / technical personnel in development dept / manufacturing. 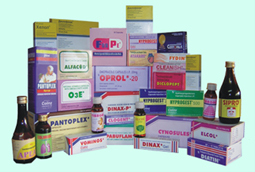 Ethical promotion of specialty products in India. Well experienced marketing team of over 125 personnels. Well qualified promoters with over 30 years of experience. Anti-Inflammatory/anti-allergic tablets, capsules & gel. 3. Vasant K. Bhat Independent Director. 4. A. Krishnakumar Independent Director.